Easter is that one holiday that I just love getting to be creative with the ids. You get to find different way to color Easter eggs. 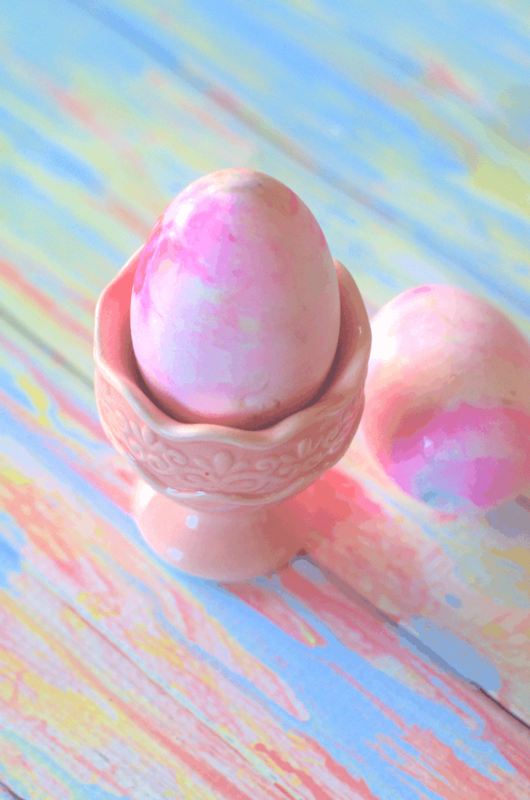 From glitter to sharpies or from watercolors to shaving cream there is plenty of fun ways to decorate Easter eggs. 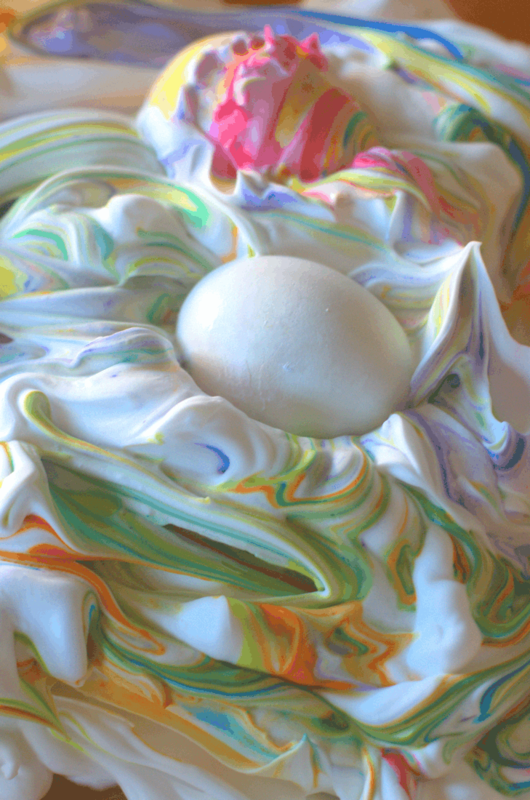 One of my favorites because it’s fun and you get to get your hands full of foam is Shaving Cream Easter Eggs. It’s a great sensory way to color eggs also. Thing is you just have to make sure the hands don’t end up in the mouth. I would say this isn’t for little, little kids. However, this can be amazing fun with the right ages all the way to adults. I just love playing with the colors. Anything from neon to pastels work great. The more dye the more of the effect. 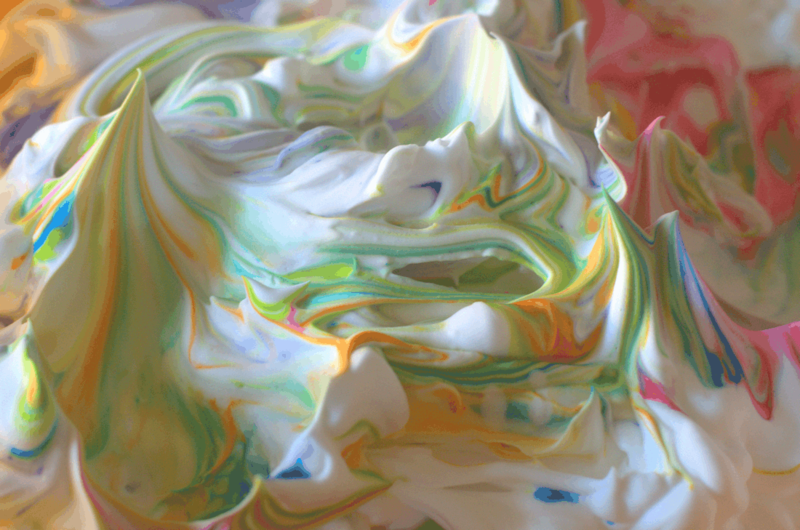 Just add in food coloring to the shaving cream and mix with a butter knife. 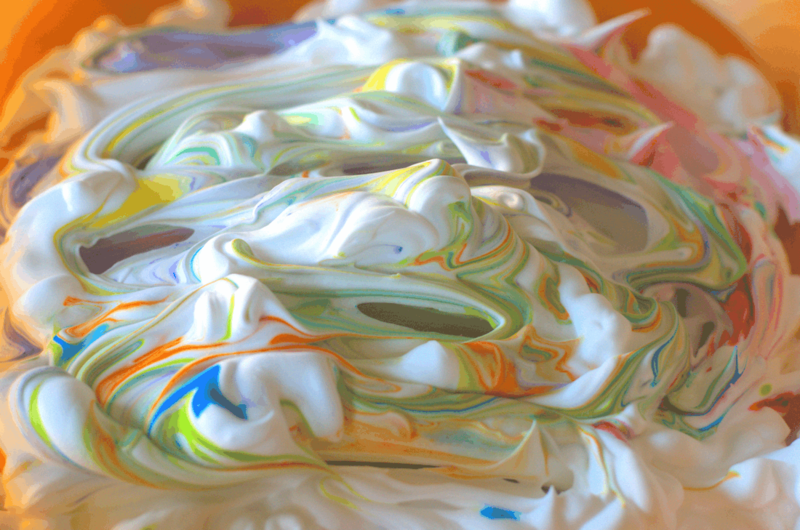 Roll eggs in the shaving cream mix. Let eggs sit for awhile and wash off with water. The longer they sit the more the effect of colors there is. I didn’t let these sit for more than five minutes as I was looking for something light in color. But if you want them darker just let them sit for a longer time like even an hour. Such a fun experience for those that love foam. I like things that are foamy or soapy. I enjoy the feeling of it on my hands. 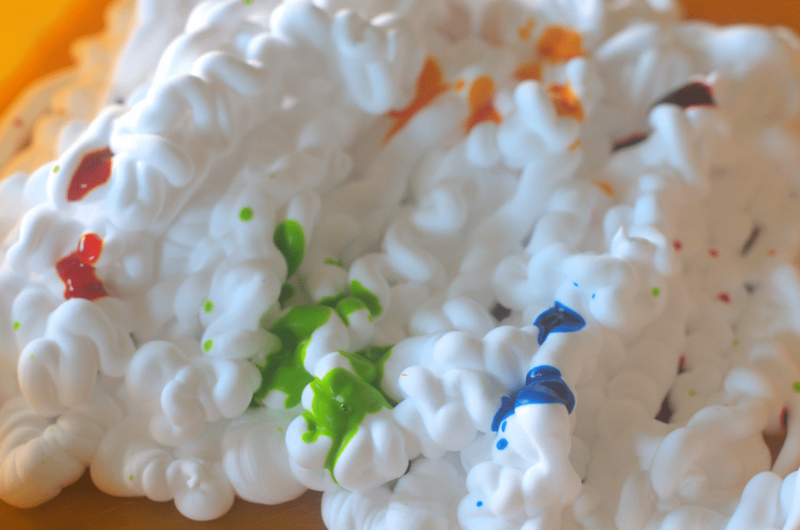 Just added about two drops of each food coloring that I wanted the color of. The eggs came out so pretty! I just love them in my little Easter egg display. That and the leftovers make great egg sandwiches that my kids love! Don’t forget to have a fun Easter hunt with these before you eat them!